For the month of March, CoffeeCollective searched Canada’s beautiful northern territories for the perfect cup of coffee. Bean North Coffee Roasting is nestled in Whitehorse, Yukon. 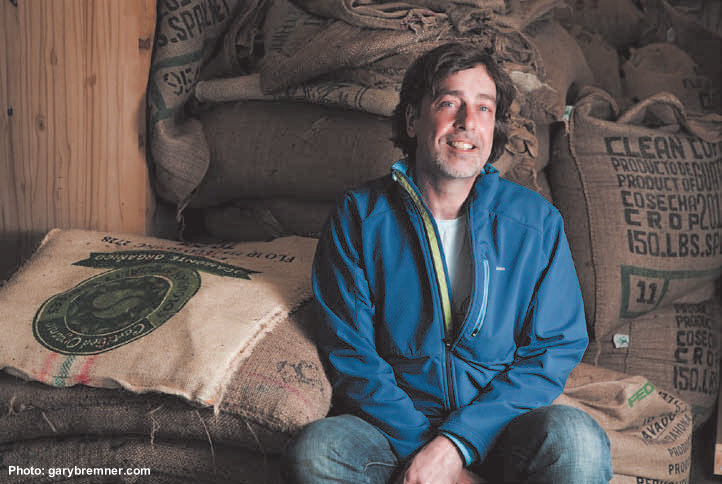 While you may think the beans suffer in their journey from heat to frozen temperatures, Bean North owner, Michael King sees its many advantages. Another benefit the cold brings is the common need to wrap one’s hands around a steaming mug, hence why Bean North Café has become the community hangout and a local tourist destination. Surrounded by spruce and pine trees, the café offers more than just a quality cup of coffee. Cupping courses and roastary tours are hosted from the café in addition to the charming social atmosphere where guests can discover coffee farmers, Bean North and its beginnings. 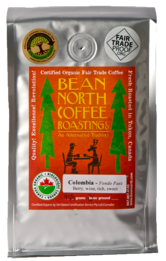 In 1996, Michael says he and his wife, Helen “travelled to the coffee lands of Central America on a mission to learn everything we could about coffee.” After being exposed to the realities of coffee farming just as Canada’s Fair Trade label was newly launched, Bean North was signed on as western Canada’s first 100% fair trade coffee roaster. To reach their dreams of sourcing coffee directly, Michael and Helen linked up Cooperative Coffees. By joining forces with other small roasters, Michael says opportunities to import coffee from Africa, Central and South America were now available. Today, after a decade, various farmers still work closely with Bean North and Cooperative Coffees. 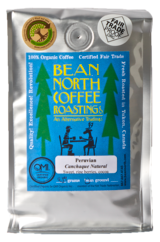 Apart from their exclusive selection, Bean North sources only farmer friendly beans and the facility is the only roastary in northern Canada that is certified for organic processing. CoffeeCollective members received the following two roasts in their packages this month. From the Cordillera Central region, this dark roast is brewing in the CoffeeCollective kitchen at this very moment. The coffee showcases notes of berry and wine under its rich and creamy body. A lighter roast from northern Peru. The coffee has sweet and fragrant aromas that trail onto the palate with ripe berry and cocoa notes. When selecting beans, Michael says there are many farming practices that Bean North looks for. Traditional and organic practices such as “under the forest canopy,” and natural fertilization is considered as well as how the beans are dried, depending on the region. Members who received this month’s package, be sure to leave your comments and ratings on the site! For those without a subscription, sign up today or visit CoffeeCollective’s online store to purchase this months feature or BeanNorth.com for their full range of roasts.